Play Disney's # 1 association game, with over 1,000 puzzles! "There are lots of interesting things in The Frozen, I could talk about hours." Discover a mix of adventure and puzzle in the kingdom of Arendelle, taken from Disney's Frozen! 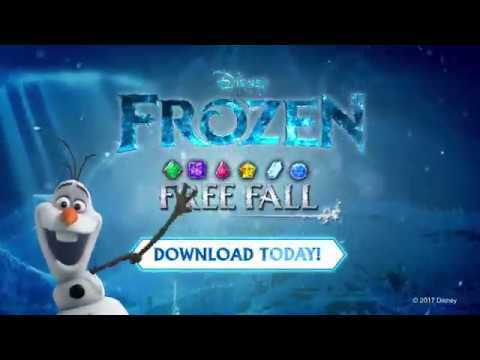 Join Anna, Elsa, Olaf and your favorite characters in hundreds of frost free puzzles! Unlock MORE puzzles and fashions and explore the country with new updates! UNIQUE BONUS FOR EACH CHARACTER - Use Anna's torch to burn a whole row of crystals or Elsa's glacier to make all the crystals of the same color disappear by magic! Try Hans' sword to split several crystals at once and discover many other amazing bonuses! GIVE LIFE TO ARENDELLE - Earn coins and rewards by winning levels to decorate your own Place d'Arendelle with boutiques, fountains, trolleys and more!